Plan your trip on the Pocono Pony - now with realtime data! SCHEDULE CHANGE Starting January 21, 2019 - Refreshed stop-to-stop departure times for Red and Blue Routes. No other route changes at this time. PA 611 north of Scotrun and south of Swiftwater will be under construction through 2020. Daily delays are likely. Visit our Bus Tracker to keep ahead of delays. A ride on our fixed route buses is quick and easy. Our service offer daily trips Monday through Saturday beginning at 6:00 AM. Please check our Routes for specific times and locations. Schedules are also available on all fixed route buses and at bus ticket locations. Bikes are welcome - click here for more information! Learn how to use our bus schedules and board the fixed route using the videos. Planning your trip is just a click away. In the trip planner block below, enter your start, date, destination and time to find the next scheduled bus coming to your location. Bus stop signs are posted at primary locations of each route. For customers convenience, riders may flag the bus at in-between points from safe and observable locations. Use your smartphone, tablet, or desktop computer to find the location of your bus. 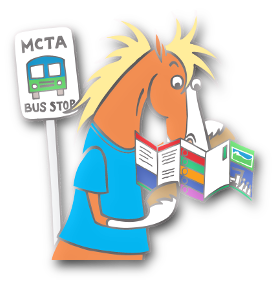 MCTA has each of our fixed route buses availible on a map so you can zoom it to see where your bus is in relation to where you are. Get MCTA alerts on Twitter @PonyAlerts to get advance warning of any service changes or delays. Ride2Ride - Ride your bike to the bus. MCTA buses are equipped with front loading bike racks. Load your bike and get to your destination quicker. Google Transit. An easy way to navigate the schedule. Planning your trip is just a click away. In the trip planner block to the right, enter your start, date, destination and time to find the next scheduled bus coming to your location. Now with real time data to alert you to delays and traffic. Do you use a smartphone or tablet? Download the Google Maps app and use the Public Transit option. Realtime Bus View - Locate my bus! How to use the Bus Tracker: 1) Click on the route you need 2) Click on the bus going in your preferred direction or the stop your waiting at to find out the estimated arrival time. The Monroe County Transportation Authority can safely accept most wheelchairs on its buses. Only those wheelchairs with a rider who exceeds the lift specifications or width of the narrowest part of the wheelchair pathway may be denied service. Most manual wheelchairs or popular motorized scooters are considered ADA compliant. Use this link to learn how to use our on the bus bike racks. Persons with disabilities who use service animals may board with the service animal, as required under the ADA, regardless of fare category. 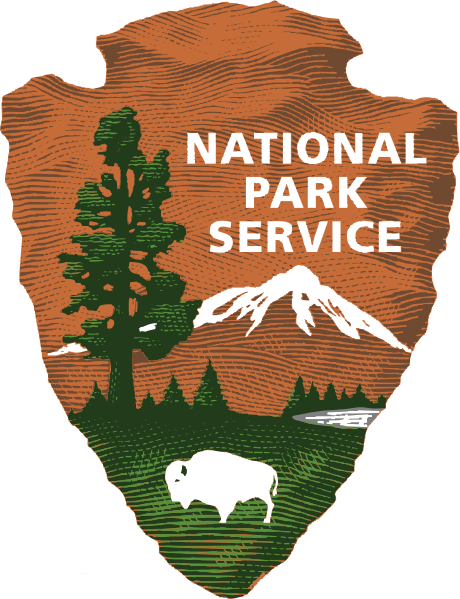 Operators may ask any passenger if their animal is a service animal and/or if the animal assists them with their disability. Service animals are not required to be licensed or certified. Passengers using service animals must keep their animals under control and the animal must not pose a threat to other passengers. Failure to do so may result in the passenger being requested to exit the bus. If the animal is a pet, it must travel in a carrier. The aisles of a transit bus must be kept clear of obstructions. Should there be an emergency this could prevent escape or cause a tripping hazard. This includes packages, strollers, and carts or like items. Packages or items too cumbersome to be controlled by placing on one’s lap should be stowed under the seat. These items should not protrude into the aisle or block the aisle. Strollers, carts or like items should be folded and stowed securely in such a manner they are not blocking the aisle. First and foremost, children should be removed from the stroller during transport. Patrons must make every attempt to secure said items. MCTA operators may ask persons to exit the vehicle after verification from dispatch or MCTA management. Persons may be removed from MCTA property by management or law enforcement for rule violations, depending upon severity. Upon request by the operator with a written statement of the violation that occurred, MCTA management will investigate and determine further actions if needed. All MCTA Fixed route buses are equipped with video and audio equipment. Upon notice of an incident, the video from the bus involved shall be pulled and stored. These saved video events may be used for prosecution, training, and/or sanction proceedings. All MCTA buses have a multi-view video and audio recording system installed. This system records a minimum of five to as many as eight separate areas inside and outside the vehicle. These recordings are overwritten on the hard drive anywhere from one week to three weeks (or longer depending on how often the vehicle is used). MCTA does not keep archive data on all recordings, only those that involve a significant reported incident. The Monroe County Transit Authority does not prohibit the carrying of properly licensed weapons on MCTA vehicles. Please note that MCTA vehicles may, and occasionally do, enter public and / or private property where firearms are legally prohibited by statute in the Commonwealth. Appropriate consequences under applicable laws apply. llame a nuestras oficinas al (570) 839-6282 entre las 8:00am y 4:30pm. Like many other Web sites, www.gomcta.com makes use of log files. These files merely logs visitors to the site - usually a standard procedure for hosting companies and a part of hosting services's analytics. The information inside the log files includes internet protocol (IP) addresses, browser type, Internet Service Provider (ISP), date/time stamp, referring/exit pages, and possibly the number of clicks. This information is used to analyze trends, administer the site, track user's movement around the site, and gather demographic information. IP addresses, and other such information are not linked to any information that is personally identifiable. → Google's use of the DART cookie enables it to provide anonymous demographic data about our visitors based upon their visit to www.gomcta.com and other sites on the Internet. www.gomcta.com has no access to or control over these cookies that are used by third-party partners. We believe it is important to provide added protection for children online. We encourage parents and guardians to spend time online with their children to observe, participate in and/or monitor and guide their online activity. www.gomcta.com does not knowingly collect any personally identifiable information from children under the age of 13. If a parent or guardian believes that www.gomcta.com has in its database the personally-identifiable information of a child under the age of 13, please contact us immediately (using the contact in the first paragraph) and we will use our best efforts to promptly remove such information from our records. The Monroe County Transportation Authority is chartered as a Municipal Authority under the Commonwealth of Pennsylvania. The following documents provide the policy and forms requried for a request for information regarding the Authority. "It is the policy of the Monroe County Transportation Authority that no person shall, on the grounds of race, color, or national origin, be excluded from participating in, or denied the benefits of, or be subject to discrimination under any program, or activity receiving federal financial assistance. If you need additional information about the Title VI Program or if any person(s) or group(s), who believes they have been subjected to discrimination by MCTA may call (570) 839-6282 x 421 or write to MCTA at PO BOX 339, Scotrun, PA 18355"
If you feel you have been subject to discrimination by an MCTA staff member, complete the linked form below and send it to the address on the form. Tweets by PonyAlerts Download Transit App for up to the minute bus arrival times! Little acts of kindness, extra effort, respect - we take pride in delivering the best service possible to our riders. If you require a reasonble change to our service, please contact us directly at (570) 839 8210 and ask to speak with our Call Center Supervisor. For more information regarding our Reasonable Accomodation Policy, please open the document below.